As of July 28th, 2014 - Our 360 Degree Virtual Tours are mobile device and ipad friendly, now running on HTML5 - JAVA is no longer used to view the 360 Virtual Tours, if your browser currently does not support HTML5, Flash will be automatically substituted. 360 virtual tours scenes which were created before July 28th, 2014 are running on JAVA which can be downloaded below for free. Note: JAVA Must be Enabled in your browser settings. 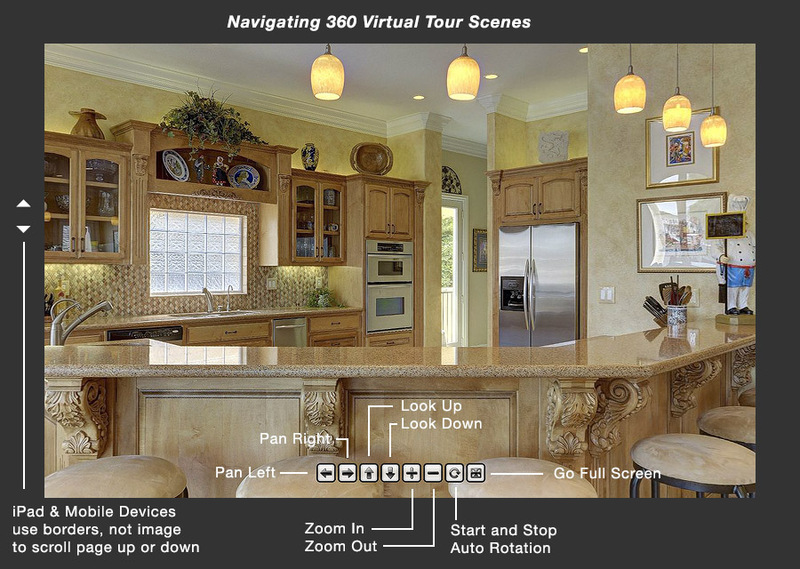 Navigating 360 Virtual Tour Scenes - Instructions Below.